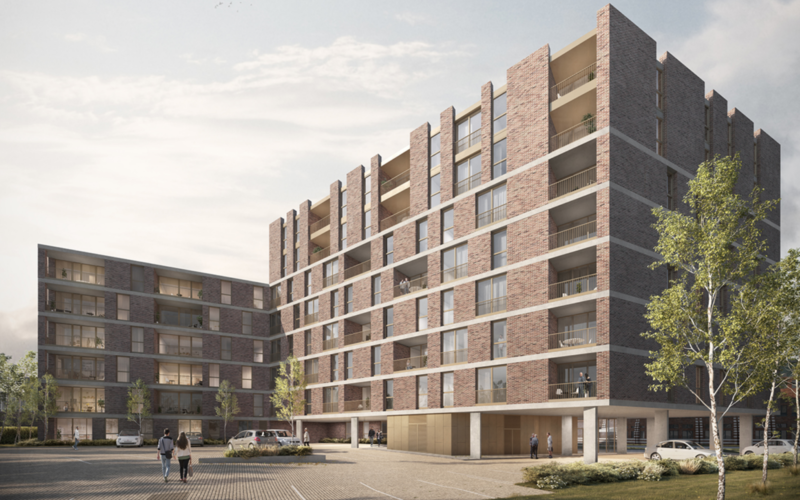 The project redevelops an underused car park in Crawley to create a high- quality mixed tenure scheme made up of 90 1- and 2-bed apartments. An existing surface water sewer currently runs through the site and will be diverted to avoid the proposed footprint of the new building. 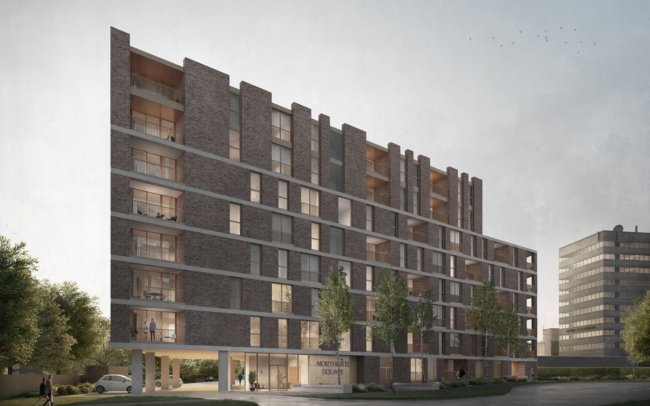 The building will be constructed in reinforced concrete supported on piled foundations. Both permanent and temporary transfer structures will be required to facilitate the final layout and also site traffic access beneath the building during site works. 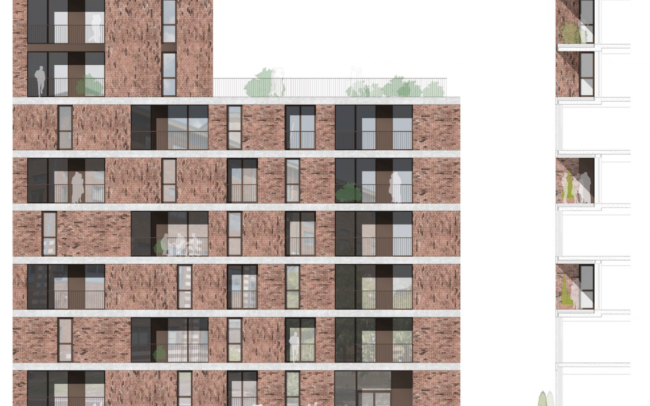 The massing of the block is broken into two distinct sections; six storeys at one side rising to eight at the other. The upper two floors of the building are strongly articulated and their form helps to reduce the perceived extent of the massing.